Your sweat could save a life. Literally. Step into the physical challenge of your life to help others gain empowerment and support in their time of need. 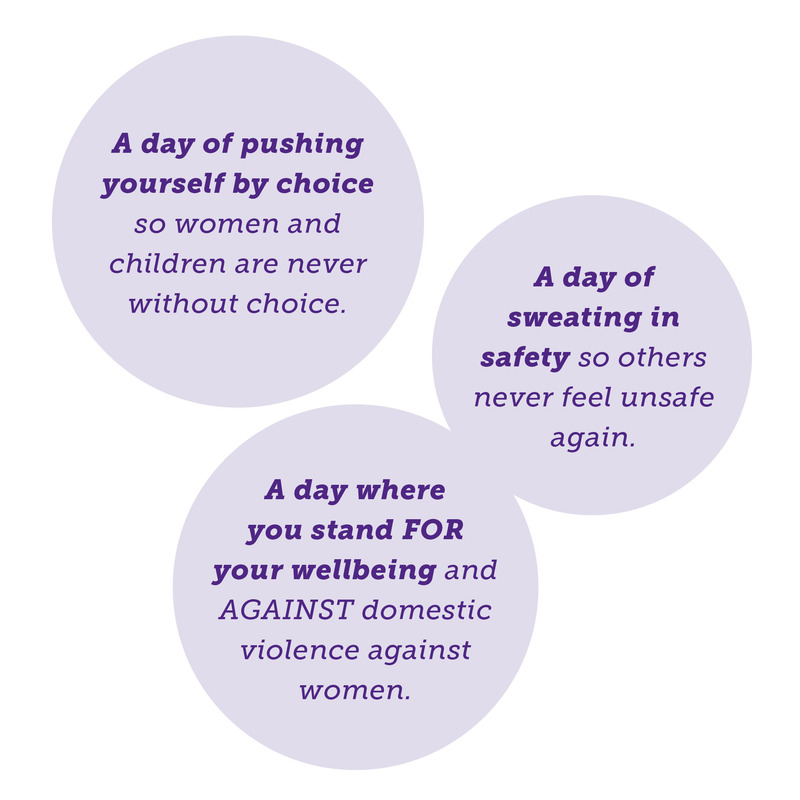 Women’s Legal Services Helpline answer 10,000 calls to empower & save Queensland women and children affected by domestic violence. to answer the other 40% of calls they cannot currently service. So, how do we help? What’s the dealio? We’re asking you to participate in PURE’s epic range of amazing classes on Friday 26th October 2018 to help raise funds. We want you to tighten, tone and firm your body with the sponsorship of your family, friends and network. An epic, physical challenge for a great cause. This is not your average workout, its 15 of Pure‘s finest selection of exclusive innovative classes, back to back. 10 Hours of exercise in total. Yes, you read right… TEN!! If you want to get fitter, stronger and even more toned all whilst raising money for an invaluable charity then the upcoming Pure-Palooza is for you! All FIFTEEN classes will be led by Pure Founder and Class Creator Marina Perry. A truly functional sporting event like no other. that encapsulates Pure’s philosophy of “for the love of movement”. 18 brave individuals & teams will undertake the toughest, group training workout ever seen! Register your corporation and share the sweat with your co-workers. A fantastic, team-building, morale-boosting event for an amazing cause. Only 10 Corporate spots available! 1 employee must participate in each class. Register as a soloist and tackle this incomparable, physical feat! Soloists participate in all 15 classes! Push yourself to prevent others being pushed or trapped. A brave, heroic act. An amazing & fun workout. 8 of which are allocated to brave, solo souls committed to surviving the Pure-Palooza alone. 10 spaces exist for teams, families or corporate crews to pool their skills and rally together to make it through. This is your chance to play through the most innovative, mind-body classes in the world. Find your edge, challenge your mind and all for a great cause! All accepted applications will receive an everyday-hero login to start their fundraising efforts. Fundraising? Yup! Because in addition to bragging rights, a PP Survivor Shirt and awesome goodie bag for everyone, there will be thousands of dollars worth of prizes up for grabs for the individuals and teams who raise the most money for the amazing QWLS!